Tower Systems publishes newsagency sales benchmark results | A blog about smart POS software for independent small businesses. Core categories in retail newsagencies challenged while specialty categories grow. This newsagency sales benchmark study reflects sales results as tracked in 149 retail newsagency businesses in Australia for the January through March quarter of 2018 compared to the same period in 2017. 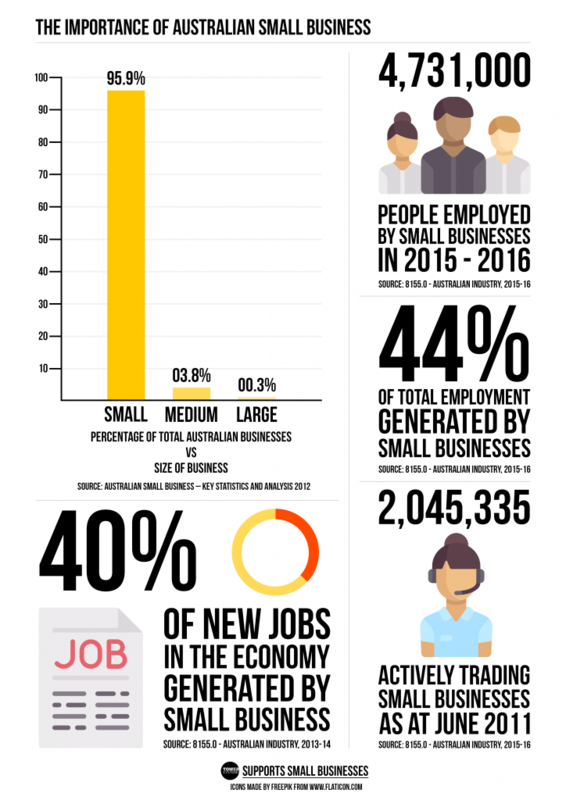 Tower Systems undertakes the survey each quarter on a pro-bono basis in support of small businesses newsagency businesses across Australia. We are grateful to newsagents and their suppliers for their interest and to others who trust the survey results. Only businesses with accurate data are included in the study. With under 3,000 businesses in this channel, the number of participants is considered as a good indicator of overall channel performance. In collating data, I have removed businesses at the extremes where other factors are at play such as major construction shutting a street or a newsagency in a centre with two newsagencies where one closed and thereby giving an unnatural boost to the other. In collating results, I have only included data for each category businesses trading in that category. Newspapers. Unit sales. Down 9.3%. Magazines. Unit sales. Down 8.8%. Greeting cards. Revenue. Down 2.7%. These core products numbers reflect continuing challenges in the core for newsagency businesses. This is not news given the benchmark results for years now. In my opinion, the decline in newspapers, and magazines to a lesser extent, impacts the results for other products in the core such as stationery and cards. If this is true, it reinforces the importance of having other traffic drivers in a retail business, giving shoppers other compelling reasons to visit. The occupancy cost challenge – a note for landlords. Landlords want newsagency businesses in their retail mix. They want the store with papers, magazines, lotteries and other core items for the channel. Often, they restrict the space available for non-core, imposing a low gross profit model on businesses, thereby increasing occupancy cost. Newsagencies today cannot sustain occupancy costs of more than 15%. The goal must be 11% for the business to be profitable and able to serve the usual level of debt needed for such a business. Landlords need to be aware of the changes in product mix, the challenges of low-margin core products and restrictions they place on what businesses can sell. They need to be flexible on rent so newsagency businesses can be sustained and thereby provide the service they want in their centre. If landlords want a newsagency business they need to price the space to reflect the nature of a sustainable business in that location rather than any premium rent they could get from a retailer with higher margins. Labour cost – dealing with the challenge and opportunity. Labour cost for an average newsagency sits at 16% of revenue where revenue is product revenue plus agency commission. On a pure benchmark analysis, this is too high. However, the right labour invested in the right location in-store generates a good return. For example, a skilled person working the shop floor in high margin product categories can deliver valuable benefits whereas the right person working newspapers or magazines is less valuable. When it comes to labour investment and management the core focus must be on customer-facing. That means having the maximum labour time possible situated to be accessible to customers. You do this by shifting to the shop floor as much work as possible – pricing, returns etc. Newsagents need to manage their roster carefully and manage employee hours to be customer facing focused and engaged on a shared goal of driving revenue from each customer visit. Sharing information with employees is key to achieving this. It is easy to say to newsagents get into one or more of the specialty areas. There are suppliers who will pitch products in these areas. The challenge is how you drive success. Getting the right product is part of the story. Visual merchandising, employee training, shop floor engagement and out of store marketing are all important factors. These all require relentless focus. Putting a category of products on the shelves is not sufficient. Specialty products are rapidly evolving, presenting more opportunities over time. Keeping yourself informed of the opportunities, especially ahead of any wave, is key. Tower Systems serves more than 1,700 newsagents with awesome newsagency software. Beanie Boos are adorable cute plush toys from Ty in the USA. In Australia, the best website for buying Beanie Boos is www.beanieboosaustralia.com. This website connects close to 150 shops selling beanie Boos, making it easy for beanie Boo shoppers to buy from one website and get stock access from all these 150 or so shops. This provides access to the best Beanie Boo range in Australia. Plus is provides access to Ty baby, Attic Treasures, Peek-A-Boo tablet holders, Ty Classic, Ty beanies and Ty Beanie Babies. All these products are on the awesome Ty Beanie Boo website. Tower Systems created this awesome website and it maintains a genuinely live connection to the retail shops in the newsXpress network, making Beanie Boos available to anyone anywhere in Australia. Shopping is easy and fast and safe. Shopping is awesome – safe, secure and professional with easy shipment tracking. With live connection between the Beanie Boo website and the shops that stock beanie Boos we are able to provide the shoppers with certainty about what they want and when they want it. The website includes images and more – which all come from direct within the POS software developed by Tower Systems. Thanks to the beanie Boos website we are able to help local collectors anywhere in Australia to engage in their passion and to do so in a cost effective and happy way. Plus we help make local communities happier places as collectors of Boos smile more thanks to their adorable cuties. Pop! Vinyls are vinyl figurines for collectors, licence lovers and more. They are a genuine reflection of the licenced characters they represent. Pop vinyl shoppers love having access to an awesome range. The Pop Vinyls website created by Tower Systems for more than 100 newsXpress retailers brings together into one place all the stock from these retailers to make shopping easy and certain and to offer a fantastic range. This is what shoppers love. They love that they can shop a whole range from many Pop Vinyl shops easily and from the one place. they also love the certainty that what they can see online is what they can see in the physical shop too. Yes, our awesome Pop! Vinyl website makes in-store shopping easier for collectors of all sorts of Pop! Vinyls from Golden Girls to Batman, to Game of Thrones to Care bears, to Marvel, to The Munsters to all things Pop! Vinyls. The online pop website is an awesome place for people to buy Pop! Vinyls and all things pop culture. The shops connected to the website are all round Australia and all small family owned businesses serving their local communities. They are good for locals and good for the comm unity. This is a big point of difference compared to the big businesses. On this website we bring it all together, representing the Pop! Vinyl products in each store connected to our website, available for you to purchase online through us and supplied from the local store level. We have access to the full range of Funko Pop! Vinyls. We are happy to do special orders and pre-orders of new releases. We are here to serve every Pop! Vinyl collector – we want to help you have more pops to love. Australians love jigsaws. We have helped serve that love by creating the best online jigsaw shop in Australia. Jigsaws Australia b rings to live products from more than 100 retailers all connected and shapable through the one online website. This makes sure the range is diverse and easily accessible by shoppers in locations right around our vast country. Buying a jigsaw for yourself or add a gift for someone else has never been easier. Thanks to this awesome website that makes shopping easy and certain. This includes professional back office fulfilment ensuring jigsaws are shipped to their destination using professional packaging and shipping. Our website takes care of all of this including the opportunity to buy now and pay later thanks to Oxipay. Featuring Ravensberger jigsaws, the Jigsaw Australia website is awesome for jigsaw fans and gift givers. It serves the collectors, shoppers and small businesses in a pet Aussie battler story, providing an opportunity for small businesses to win and serve their local communities with much loved jigsaw products. Tower Systems developed the Jigsaws Australia website. We have connected it to more than 100 jigsaw retailers, enabling them to win online sales as well as in-store sales through shoppers who find their shops thanks to the awesome website. This its good for in-store purchases as well as online. Being the POS software developer as well as the website developer we are able to provide small business retailers with a perfect solution. This is especially true for retailers in a single banner group, such as is the case for the Jigsaws Australia website that we have now deployed for more than 100 small business retailers. The Cuteness Overload website we created, connected to our POS software, is the best shop in Australia for Pusheen products. Pusheen is an adorable licenced character, based on a cat. Pusheen goes everywhere and gets into all sorts of things, for Pusheen lovers to connect with. From eating pizza to eating donuts to studying to playing games. Pusheen is a ton of fun for collectors of all ages. We love Pusheen here in Australia because we are cat lovers and because we love all things cute. The Cuteness Overload website is about bringing cuteness products to anyone anywhere in Australia from one easy to shop site that serves these needs. We ship quickly and with safety in mind. This gives our Pusheen collectors peace of mind that the adorable Pusheen products will arrive in a timely manner and in perfect brand new condition. being connected to our in-store POS software we are able to ensure that stock data is accurate and this gives online shoppers certainty. On the original Pusheen website, Pusheen the cat is described as being a female domestic shorthair who is grey and tabby. People love Pusheen. They love that she is a cat. They love her tubbiness. They love her wry look. They love what she does. Pusheen makes people feel happy and good. She is a real puck mem up for anyone, even people who do not love cats. We have seen Pusheen loved by guys and girls. Older people and younger people. People in almost any country in the world. Yes, Pusheen is a truly universal collectible character that people are drawn to in all walks of life. In fact, the diverse appeal is part of what makes Pusheen really collectible by anyone in any situation. Pusheen products help people bring their love of the adorable grey fat cat to life at work, at home, at school on the bus or train, in the car and elsewhere as they go about their lives. This is what people love about the products, they can have the Pusheen cuteness and calmness anywhere and everywhere. The products started off as plush toys. Now they cover a huge range including mugs, journals, pillows, art pieces, plates, pens, pencils, rulers, stationery, cards, photo frames and much more. Every product has a place and use. Ever6y product brings a calm to the room and that is part of what people love. If you are a collector of teddy bears and love especially the handmade teddy bears in the UK from genuine limited edition runs then the Willow bears website www.willowbears.com.au could be the website best for you. These handmade collectible bears are true one of a kind, unlike any bears you will see elsewhere. Through the Willow bears website you can see these gorgeous bears that are located in more than 100 newsXpress shops around Australia, where collectors can hug, love and buy the Willow Bears. From the website you can shop with certainty and it is directly connected to each shop selling the Willow bears, each shop with accurate stock on hand data that makes buying fun, certain and fast. Plus there is the opportunity to buy now, hug now and pay later thanks to the website integration with Oxipay. They are not made in an asian factory with low labour rates. They are not factory produced in large numbers. They are not sold on TV. No, these are genuine limited edition hand made by artist bears from the UK, 100% from the UK. This is a big and important point of difference for the collectors who love unique works of art, bears they can pass on through generations. Bears that are made ethically, for real collectors. Beautiful teddy bears are to be cherished. Tower Systems has been quietly helping more users of the POS Solutions newsagency software switch to Tower Systems newsagency software. What we have learned from the many hundreds who have switched already have blazed the path for others. We help people switch with personal and timely support access, one on one training, data conversion and more. As the company serving in excess of 1,700 newsagency businesses we have the critical mass to serve newsagents keen for then Tower Systems experience. As the newsagency channel undergoes extraordinary change, Tower Systems remains a constant support through its best-practice newsagency management software, newsagent support and newsagent marketing help. Size matters. Tower Systems serves more newsagents than all other software companies combined. The latest Tower Systems newsagency software. Data conversion, converting as much data as we can access. Software support for the first three years. Software updates for the first three years. Unlimited over the phone follow up training for the first three years. Access to an online knowledge base with hundreds of articles and advice on the software, which you can easily search 24/7. Access to weekly group live online training workshops. Access to a private Facebook page where you can discuss on any topic. More broadly, we are well resourced to help newsagents navigate change. Tower Systems will not leave the newsagency channel. Our software continues to evolve. We release two to three major updates each year. You choose when to load them. Each update is thoroughly tested in a comprehensive beta program. We own newsagencies. Yes, we walk in your shoes. No locked-in support fee. Taking up support coverage once the three-year period ends is optional. Lower support costs. Also, transparent. No mates’ rates for a select few. Fast support. Most calls are handled when you call. If not, we call back. At any time, you can see live how many help desk calls we are working on and how many we have closed that day. Support escalation. We have a structured escalation process should you be unhappy with a support call. Easy management access. The leadership team of Tower Systems is available to you. We take customer service seriously and personally. Updates when you want. You are in control of when you load updates. Free training. Long after you install our software you have access to free personal training to refresh knowledge or cover new facilities. Owner access. 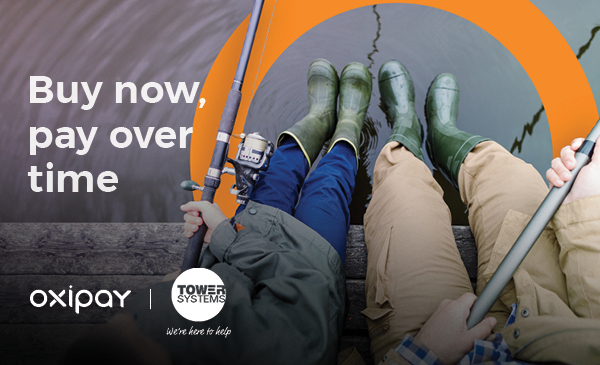 Call Tower owner, Mark Fletcher, on 0418 321 338 or email mark@towersystems.com.au. The events facilities released in the latest Tower Systems POS software update, Retailer version 2.7.4, are proving to be popular. They are comprehensive, of use to any retail business that wants to invite shoppers back into their businesses. Events was expensive for us to develop. The software is broad in scope, comprehensive, and valuable to us and to our customers. We have made these facilities available to supported users at no cost. We have done this because we see them as a valuable core facility in good POS software. Think of the Events facilities as marketing tools for growing revenue and making your business more valuable. You can market to people based on birthdays or anniversaries, when they last bought something, or other criteria appropriate to your business. Comprehensive in scope and created following extensive customer consultation, the Events facilities add extraordinary value to your investment in the Tower Systems software. For your own free training delivered with context to your business, please email bookings@towersystems.com.au. Every Tower Systems customer has access to unlimited one on one training, at no cost. We also have excellent knowledge base advice on Events. Type events into the search bar and you will find them. Our knowledge base, with up to date advice, is accessible to our customers 24/7. Events is helping retailers in a range of retail channels to grow their businesses, to bring shoppers back and to make the experience more complete, more whole of business. It is a shining light of new feels in software too help retailers grow. To get access to Events, please email support@towersystems.com.au asking us to turn it on. There is no cost for supported customers. This is a small selection of our retail store POS software connected websites. We have many more for single stores and groups. The advantage, benefit, is that we develop the POS software as well as the websites. This is where we make the difference in our software and non our web tech o0logy to help small businesses grow online. We back this with excellent SEO work too, helping small business retailers compete with big businesses to be relevant in a rapidly changing retail and online landscape. How webstore connected POS software helps retailers in a group and independent retailers win more sales. As well as offering POS software designed for your specific type of business, Tower Systems provides websites seamlessly connected to the shop floor, giving you a single management view. We develop websites for our customers, in Magento, Shopify or WooCommerce. Our websites are POS software connected, offering 24/7 selling with payments through PayPal, Oxipay (interest free buy now pay later) and credit cards. Our websites leverage online purchases as well as click and collect. They also drive basket depth with up-sell options and handling coupons for special deals. If you are in a banner group or a marketing group, we can provide a single website to represent all stores in the group. We do this today for one group, through five websites we created – each easily found through Google thanks to our SEO work. Each store in a banner or marketing group gets their own page, which they can easily promote. For a single business, the POS connected website promotes their business. In some businesses, around 75% of key in-store purchases have an online search component. POS connected websites are important for winning online sales and even more important for driving in-store purchases. 45% of purchases in many categories are when retail shops are closed. 10% of purchases are click and collect in higher-end product categories. 14% of purchases are done with buy now pay later financing. Shoppers like certainty that a store will have in stock they want to purchase – stock on hand by item can be viewable for each store. We can network stores from a banner or marketing group into a single website. Thereby leveraging the power of the group of independently owned small businesses to be stronger and more useful than a big business competitor. This is how small businesses can win online. Let us show you how together we can do this, how we can bring single stores online as well as whole groups online … through webstore connected POS software. Not only do we create the website and the POS software, we ensure they can be found. This is key as a website that cannot be easily found through Google is a waste of money. We would love to show individuals privately or members of your group, if you are in a group, the POS software connected websites we have created. We would take you behind the curtain, showing not only the tech. but explaining the business approach, outlining what we have done to create successful online businesses. The latest release of our POS software introduces a web dashboard to help in-store online sales fulfilment. This, coupled with inventory integration, accurate stock on hand data, professional image handling and smart SEO work helps you create and run an efficient, integrated physical and online business. National sales phone line: 1300 662 957. Sales QLD & NT: Justin Randall. justin@towersystems.com.au 0434 365 789. Sales NSW/ACT: Nathan Morrison. nathan@towersystems.com.au 0417 568 148. Sales SA/WA/VIC: Tim Batt. tim@towersystems.com.au 0401 833 917. CEO: Mark Fletcher. mark@towersystems.com.au 0418 321 338. COO: Gavin Williams. gavin@towersystems.com.au 0418 554 759. We are grateful for the feedback from people who have seen our recent video where we share insights gained from visiting the Amazon Go store in Seattle twice this year. This is an extraordinary shop, built by an extraordinary business. No cash or credit cards processed in-store. Choose what you want, and leave. In this video we explain what we saw and try for context for small business retailers. repairs management and manufacturing management are important functions in retail businesses offering these services. Run without professional management tools, the businesses can lose business and find costs blowing out of control. Good software is the key to efficient management. Cyber attacks are on the increase. Their impact is serious. They are becoming more sophisticated and this increases the harm. A garden centre could provide advice on plants for local conditions. A fishing business could provide advice on local fishing spots that are hot. A pet store could include information about local dog parks and events. A toy shop could list local collector and game clubs to foster community. We can help you do this, we can help you show through the software how your business is better for the local community than any big business competitor. BEING LOCAL BEYOND THE SOFTWARE. Tell the town’s story. Invite a school class to create a diorama telling some history of the down in your shop window. This will be educational, topical, newsworthy and something that gets people connected with those involved to your shop to see the window. Famous and infamous people. Get your customers to nominate famous people form the area from back since when the area was first settled. Again, educational and newsworthy. Sports heroes from 2013. Invite all schools and clubs in your area to submit a photo and a brief description of their sporting winners from this year. The display could be your way of holding the winners up for another moment of glory. Where we come from. get a school class to create a map of the word for your window and get your shoppers to place a flag showing where they come from. Maybe the could have a place to note a story of how they got there. While none of these ideas is about you selling product, each does better connect your shop with your local community and that is vital. Be knowledgeable about local activities, events, issues and places. Talk about local matters on your social media outlets. Help publish local news. Support local groups with knowledge, prizes and attention. Encourage local groups to use your business. Serve your community in practical ways such as volunteering. Help even the groups you cannot help financially – with an events noticeboard and supporting them on your Facebook page etc. Talk local across the counter. Be visible at local events and activities. Encourage your employees to be visible at local events and activities. Tower Systems has announced details of its free live online group training programs through to the end of June. All sessions are available to any Tower customer. Access is free. each session has plenty of time for questions on any topic. Bookings can be made through our POS software training portal. Description: Doing a stocktake in retailer and what option works best for you. Description: Get ready for End of Financial Year now. What you need to do and the reports you need to run. Accessible free training is key for small business retailers as it allows them to continue to get more from their investment in POS software. Tower has been running these workshops and its free one on one training programs for years. Consistency is important to us and to our customers. We are grateful to our small business retailers for their support of our training and of the use of our software. What makes for the best POS software for small business retail? It is not our place to say our software is the best POS software for small business retailers. We could not know, just as any other POS software company could not know if their software is the best. In fact, not one could know if a POS software package is the best unless they have tried all others. 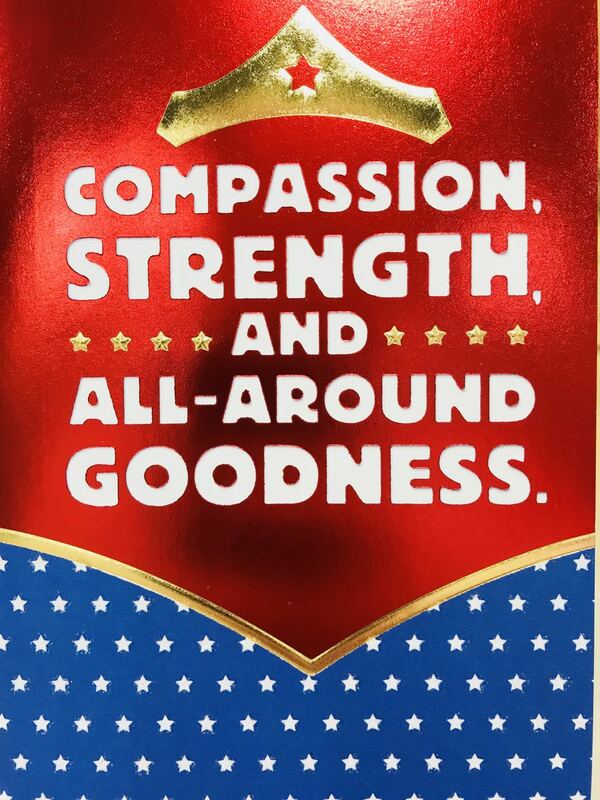 And, no one has. Our role is to create the best software we can, for each of the specialty retail marketplaces we serve. Thanks to serving 3,500 small businesses we have a big community on which to draw to be able to do what we do. their insights guide us as we continue to evolve our software. What our software offers in terms of functionality and experience is a testament to our user community. But it is not just about the POS software. It is about the support and the business management assistance provided by retail experts in the POS software company as being able to leverage the software for valuable outcomes is a key here. It is about relationships too, working with suppliers and other patties to integrate with the retail businesses, seamlessly, through the software, for speed, accuracy and genuine business value. In fact, a good supplier relationship can add real bottom line benefits to small business retailers. Leveraging this through technology is efficient and valuable. We take it further than this. We are retailers too, owning and operating several physicals and a bunch of consumer-facing websites. We do this for the experience, k so we can play and experiment, and provide our customers with a deeper and more valuable experience. We think these things, the user community, years on business, marketplace specialisation, supplier integration, and being retailers ourselves provide a complete and valuable experience. Were think it is a valuable suite of experiences like this that make then Tower Systems POS software relationship valuable for our customers. We love what we do here at Tower systems. We love our software and the service of small business retailers. we only sell to small businesses, this keeps us focussed and in the moment with these most important of businesses in any economy. The competitive pressure on independent pet shops is greater today than at any time in history. However, we are sure you know that. In independent retail it can feel lonely, with every day bringing new challenges. We’d like to help … beyond our industry-specific POS software. In addition to owning Tower Systems I own several retail shops in two different retail niches. We bought our first retail business 22 years ago and have been in retail ever since. So, we do understand something about the challenges of independent retail. We are wary of businesses that promise to help as they usually want you to spend money with you. We’d like to help our pet shop partners, free. How we can do this is by providing access to new products that will fit well within any pet shop, products through which you can broaden the appeal of your business and guide existing shoppers to spend more. Further, through our work with Tower Systems we have a package of practical, easily actionable business management and marketing advice that has been prepared specifically for independent retail. This advice is available to Tower Systems pet shop customers for no cost. This is a free genuine value-add for the Tower pet shop community. We genuinely want to help you grow your independent pet business, to make you a better, more efficient and more valuable competitor. We want to help you enjoy your business more. This is not a snake oil pitch. The offer to our Tower Systems customers is real and obligation free. There are no strings. Our commitment to independent small business retail is heartfelt. You can see it in our Australian developed pet shop software, our Australian based customer service and the business management and marketing advice we provide. We would like help in your business, please give us a call. We promise, we will not pressure you whatsoever. VIC./ WA / SA: Tim Batt. 0401 833 917. QLD / NT: Justin Randall: 0434 365 789. All of us in small business need to support each other and we will do anything I can to further that mission. We have been helping another small business retailer deal with the fallout of their use of an offshore web developer to create their e-commerce site. The costs have been significant and the hurt to the business considerable. Anyone who asks us is told: our advice for website development is to use a local web development business, one you can meet with, one you can visit, once you can call locally, one who understands your needs and situation. Failure to serve the actual needs of the local retail business. Delays due to difficulty accessing the developer in local time. Broken for use in mobile devices. Inability to connect with other software such as POS software. Like business software, with website development you get what you pay for. So, we say, let the buyer beware. Our web development approach is local, structured, transparent and engaged with the customer at all steps. Being a POS software developer and a web developer, through separate teams in our business, we are skilled to bring to market an integrated and valuable solution, based on local business needs. The quote we will provide will be comprehensive and completely based on the needs you outline to us. Tower Systems is thrilled to announce the commercial release of a major software update that is packed with valuable software enhancements, some of which will help small business retailers to find new opportunities. Every one of our customers can choose when they install the update. They can do this with the full and complete knowledge of what is in the update. No surprises. No unexpected changes. They are 100% in control. We think this is important. Fyll documentation of what is in the update has been released along with training and management advice. All accessible 24/7, so our customers go into this with will and focus. This is how we do business: transparency, clear communication, with our customers in control. It is a Tower Systems difference. Included in the information pack on the update is videos we have shot in house explaining some of the new facilities, how they work and the commercial leverage they offer. While our customers engage with the latest update, we are well into working on the next release. Good software constantly evolves. We are grateful to our customers for their engagement and feedback. We, Australians, small business retailers, suppliers to small business retailers, local towns, all of us need a Royal commission into retail shopping centre development in Australia and the behaviour of shopping centre landlords. There is enough evidence to indicate that an appropriately skilled and resourced Royal Commission could uncover behaviour that is illegal and harmful to our economy and small businesses and families that rely on the small businesses. I appreciate that the areas I think the suggested Royal Commission cover are broad and could be better served as two investigations. However, the two issues feed into each other. I think they are best considered together. WHAT IS A SHOPPING CENTRE? For the purposes of my proposal, I suggest that a shopping centre is a retail development with fifteen or more shops of any size. While I am sure there is misbehaviour to consider in smaller centres, for management and focus, a threshold of fifteen tenancies, or similar, is needed. Otherwise, any Royal Commission would run too long and cost too much. This is the beginning of the issue. Whereas in the US and other countries growth in retail tenancy space is flat or declining, in Australia it continues to grow. Some say we already have far more shops that the population can support. In regional and rural locations the challenge is that a new centre is usually located outside town and its development can gut the centre of town, diluting or killing off the heart of a small town. In some cases, mid-size centre development tis driven by competition by the two major supermarkets and aided and abetted by several other anchor tenants and supported by Tatts keen to be in all new centres. Do we need more shopping centre space? Should there be controls on approving this? What is the economic impact of the current growth in retail space in Australia? What is the social impact of the current growth in retail space in Australia? What is the impact, specifically on small business retailers of the growth in retail space? Talk to any small business tenant in a shopping centre and they will have at least one landlord story that causes them stress. There is the landlord who did a handshake deal with a party that was negotiating to buy a business. the landlord squeezed and the family business closed. The new tenant moved in without paying goodwill. There is the landlord that took too long on centre re-develoopmnent, making decisions that saw a 50% drop in shopper traffic, and refused any compensation for retailers. There is the landlord that permits one sore to be on a % deal where they pay 9% of turnovers in rent with a shop next door not able to have such a deal and managing and occupancy cost of 32%. There is the landlord that strong-arms retailers verbally, never in writing, never in a way that can be used against them. There is the landlord that takes a marketing levy every month and spends this on activities that offer no benefit whatsoever to retailers. There are hundreds of stories. The Royal Commission needs to listen to stories, all stories. Tenants need to be able to do this confidentially as the fear of reprisal by landlords is real. Do landlords treat retailers differently? Do landlords act in secret knowingly harming small business retailers? Do landlords abuse funds they collect from retailers for marketing? Are landlords fulfilling their obligations in terms of bringing traffic to shops in their centres? How are the various roles of employees paid in landlord businesses? What are their incentives? There are many other questions to answer. My goal here is to kick off the discussion. Too many families are losing their businesses, homes and other assets. Too many small business operators are having their personal situations, including health, negatively impacted. Too many small business operators are losing their life. Yes, this issue is that serious. Small business retailers feel helpless. They want their business. It has been their life’s work. They fear without it they will have nothing. This can see them agree to a lease that is at its very foundation doomed inappropriate for their business. Landlords have the upper hand. They are in control. Too many people in landlord businesses are bullies and aware of how to bully without being caught. The best way to resolve this is to shine a light. Only a Royal Commission c an have the authority and power to do this. I get that Royal Commissions are popular right now. This suggestion, however, is important given that those most impacted are also those most vulnerable – small businesses, run by families. Were are told small business is the business backbone of our country. However, there is evidence to suggest that small business retailers are disadvantaged in terms of shopping centre development and retail teensy negotiation. Here at Tower Systems we only serve small business retailers with our POS software. In our view, small business matters. This is why we support the push for a Royal Commission into shopping centre development and retail tenancies. This post first appeared on a blog last week in a post by the CEO of Tower. We are grateful to have visited the ground-breaking Amazon Go store in Seattle twice this year. This is an extraordinary shop, built by an extraordinary business. To all the mums and mum figures in our small business retailers community, happy Mother’s Day today, and always. A week ago we shared with our customers an updated THEFT POLICY, and suggested they print this and seek employee engagement. The reaction has been terrific with plenty downloading and pricing the policy. We have had calls, too, from retailers seeking our suggestions on other actions they can take. Some have called with their stories of theft in their businesses. Our work in the area of retail employee theft is comprehensive and on-going. We welcome opportunities to work with our thousands of small business retailer customers to help them mitigate the theft situation in their businesses.